Palm Sunday is always a day of mixed emotion, the re-living of the triumphal entry of the Christ into Jerusalem heralding the salvation that is to come and highlighting its rejection by the world with the later reading of the Passion, moves us from joy to pathos all within one liturgy. 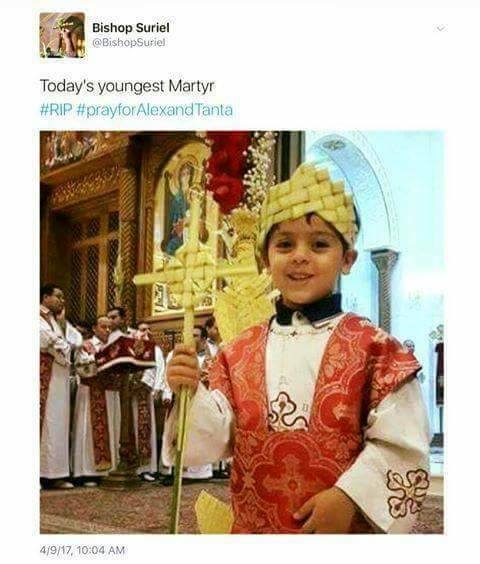 Similarly yesterday, the wonderful news of Christians in Iraq’s main Christian town of Qaraqosh celebrating Palm Sunday for the first time since it was retaken from the Islamic State, was met with the sad news of two terrorist attacks on Coptic churches in Egypt while Palm Sunday services were taking place. A day of mixed emotions. The faithful and clergy of The Brighton Oratory share in the thoughts, grief and prayers of our Coptic brothers and sisters both here in Brighton as well as in Egypt, and our Provost has written to both Fr Johannes locally, and Bishop Angaelos (General Bishop of the Coptic Orthodox Church in the United Kingdom), to convey the sentiments of the faithful and clergy of our Province of Europe. As sectarian violence continues to make international headlines, Churches Together in Central Brighton is looking forward to meeting and listening to a renowned expert on the crisis in the Middle East for those of faith. Canon Andrew White, the Vicar of Baghdad, will be interviewed by Metropolitan Jerome on Good Friday, 6.30pm at the Salvation Army to talk about his life and ministry, the situation in Iraq during and after the ISIS invasion, the impact on his people, his efforts for them now and what we all can do to help. ALL ARE MOST WELCOME to come and listen to Canon White and to express solidarity with our brothers and sisters in the Faith, suffering for His Name’s sake in the Middle East.